Home › Blogs › We Have A Name! Researching homeschooling revealed to us that many homeschoolers choose to name their school. We all thought this was a fun idea, so we decided to put together an ‘unofficial’ lesson. (‘official’ lessons begin in January). Our lesson’s theme was elections. To begin with, we all sat down and brainstormed ideas for our school’s name. These ranged from the truly inspiring (Children of the Goddess Learning Centre) to the themed (Tinkerbell School) to the downright unusual (Barely Troppo Laid-Back Learning Acadamy, Hullaballoo House of Learning). Once we had a list of about sixteen names, we randomised the order and used Microsoft Publisher to create some ballot forms for a first-past-the-post election. These were printed and distributed to each member of the family, who marked their preference in a secret ballot. Next it was time to count the votes. Two votes for Children of the Goddess Learning Centre, two votes for BAYS House of Learning, one vote for Tinkerbell School and one vote for Loveheart School. Discarding the names with only one vote each, this left us a tie between Children of the Goddess Learning Centre and BAYS House of Learning. 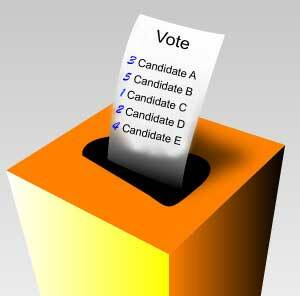 We decided to have another vote, this time by simply stating our preferences between the two choices. There were three votes for Children of the Goddess Learning Centre and three votes for BAYS House of Learning – another tie. After some discussion, some of chose to change our vote, leading to a unanimous decision. The new name of our homeschool is BAYS House of Learning.